Patience is the essence of clicking great Photographs!! Its not that life ends when you’re gone..its that; It just doesn’t start. Finally… you did turned out to be a true Vampire..!!! Do not Forget pain, You endure in it’s presence!! You lie once.. you lie for the rest of your life… and in quest of proving your innocence.. you pledge your honesty with utter lies…. !!! 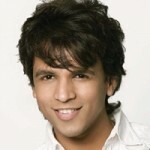 Abhijeet Sawant is an Indian playback singer. He is the winner of Indian Idol (Season 1). He was the first runner up of Clinic All Clear - Jo Jeeta Wohi Superstar, and came at third place in Asian Idol.